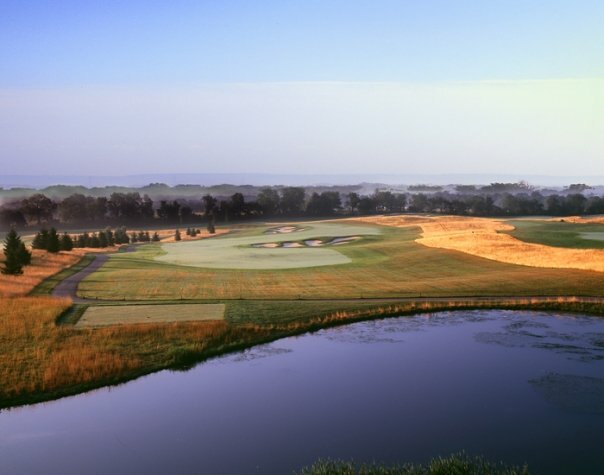 Host your golf league at New Jersey's premier golfing destination. The Architects Golf Club hosts private and public golf leagues throughout the year. Register for a league and find information about hosting your league's events at our world-class golf course and banquet facility. Are you interested in joining a golf league? Architects hosts numerous golf leagues for men and women Monday through Wednesday. All of the leagues offer a good mix of fun and competition. Hole No. 10: "George C. Thomas, Jr."
Below is the list of the leagues that Architects hosts that are potentially open to new members. Both public and private, members-only, leagues are listed. Private. Open to Foster Wheeler employees only. Contact Tom Peterson for more information. Architects Golf Club membership required to join. Click here to view our wide array of affordable membership opportunities. Are you interested in starting your own golf league? Please fill out the form below. Someone from our sales team will reach out to you within 24-48 hours.